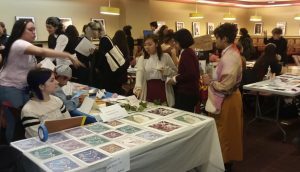 On Thursday, April 19, the Birnbaum Library hosted Test Print Pop Up Shop, an event in the Collaborative Learning Room featuring Pace students displaying and selling original artwork. Among the 20 or so artists tabling was Birnbaum Library student worker Netzy Martinez. 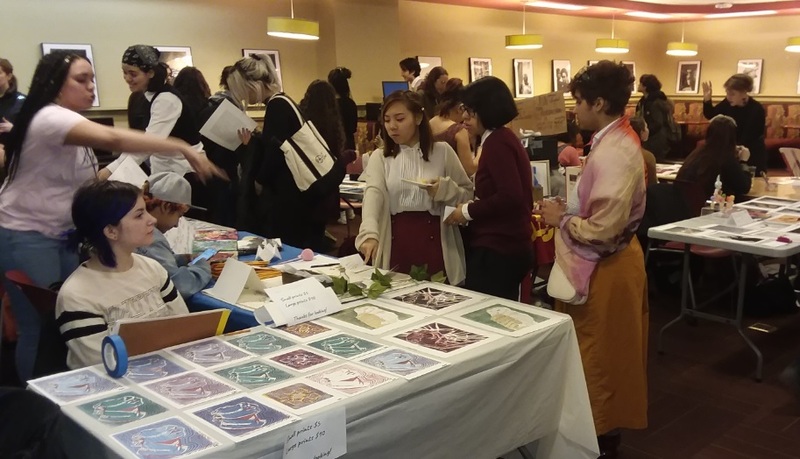 The more than 200 people who attended browsed and bought zines, books, photos and prints and enjoyed a nice spread of snacks. We thank David Almodovar, Assistant Director of Library-based Technology, for his contributions, Professor Derek Stroup, and the Art Department for co-sponsoring the event. 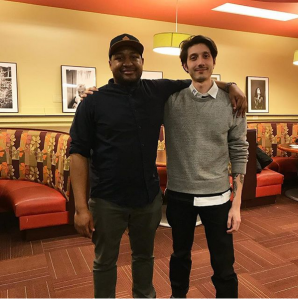 The Library welcomes the opportunity to collaborate with other departments and campus groups.